Intel wants its Low Power Display Technology to become nearly ubiquitous sometime next year. Josh Newman of Intel explains Low Power Display Technology, and how much more battery life 1-watt panels will give new PCs. Nearly lost in the flood of Intel announcements at Computex—Intel’s 28-core chip, the 8086K Anniversary Edition, and more—was something a bit more fundamental: the development of 1-watt display panels, which will have a profound impact on battery life. Intel said it is working with Innolux and Sharp to develop what it calls its Low Power Display Technology, which optimizes the display technology, including the backlight and panel circuitry, to halve power from a typical power consumption of about two watts down to a single watt. They’ll be optimized for Intel’s U- and Y-series processors for ultrabooks and ultra-low-power devices. In the real world, that could extend battery life by as much as four to eight hours, according to Josh Newman, the general manager of mobile innovation segments for Intel. For laptops whose batteries already last a dozen hours or more, it could push the laptop's stamina to levels that approach 20 hours or more depending on the existing battery, Newman explained. Intel showed off prototype PCs in an “open house” at Computex. 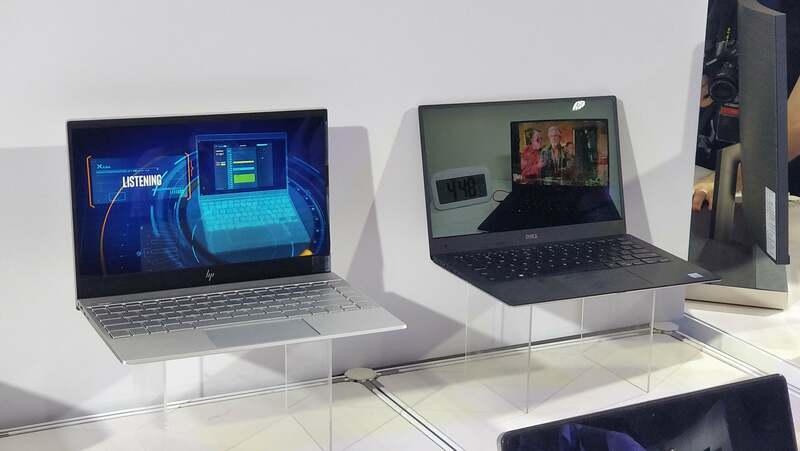 These laptops, from HP and Dell, use the Low Power Display Technology co-developed with Sharp and Innolux. Fortunately, Intel’s Low Power Display Technology doesn’t appear to change the fundamental nature of the panel themselves. Intel showed off prototype laptops from Dell and HP with the LPDT panel technology already installed. It sounds like those laptops will still be able to project all the light output users need—350 nits or so. What’s unknown (and probably unlikely) is whether you’ll be able to run at full brightness and still achieve the longest battery life. Newman said the first systems with the display technology installed would appear on store shelves this holiday season. It’s unclear whether LPDT panels will affect the prices of the laptops themselves—that’s up to notebook makers, Newman told PCWorld. Intel’s been facing pressure from Qualcomm on the battery front, as its Snapdragon-powered Always Connected PCs emphasize connectivity and long battery life—specifically 20 hours or more, the same range Intel is targeting. With Intel beginning to push 5G-equipped PCs forward in conjunction with low-power technologies like LPDT, it’s going to be a close fight. That's good news for consumers, who will ultimately benefit.